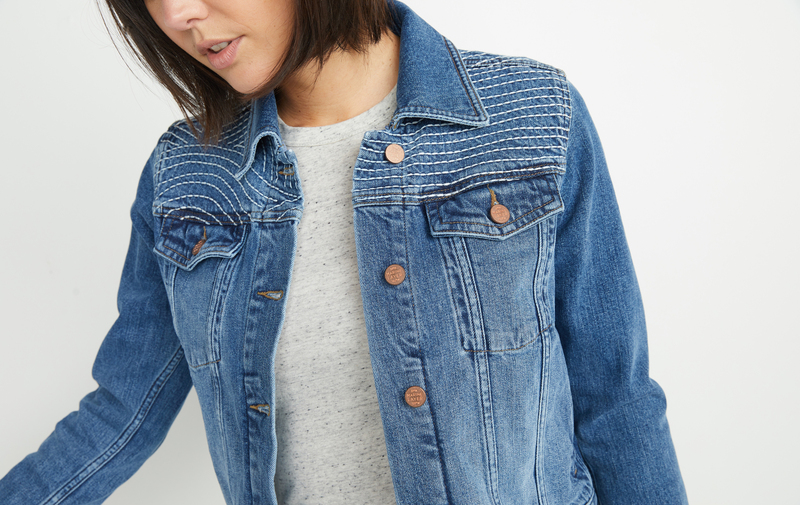 Not your average jean jacket. 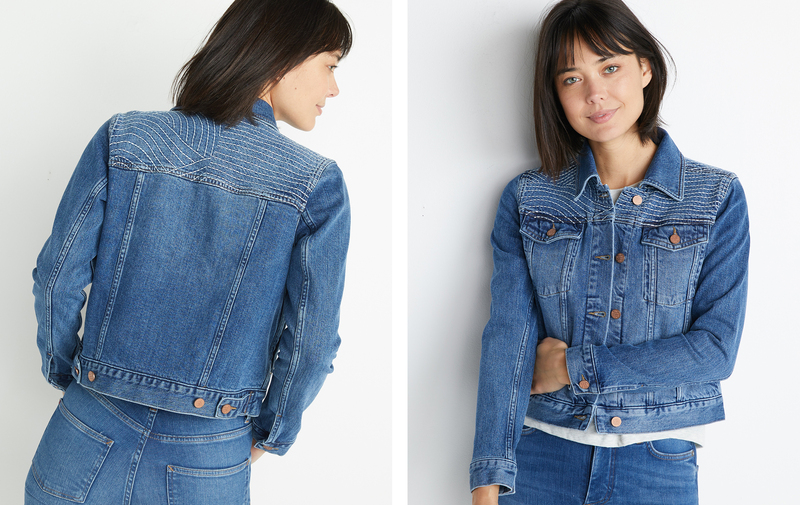 Inspired by the handmade-style of Mexico City artisans, this jacket is stitched with rolling lines across the top back half. Bonus surprise: under the back collar there's a hidden "Oh hey" stitched in. 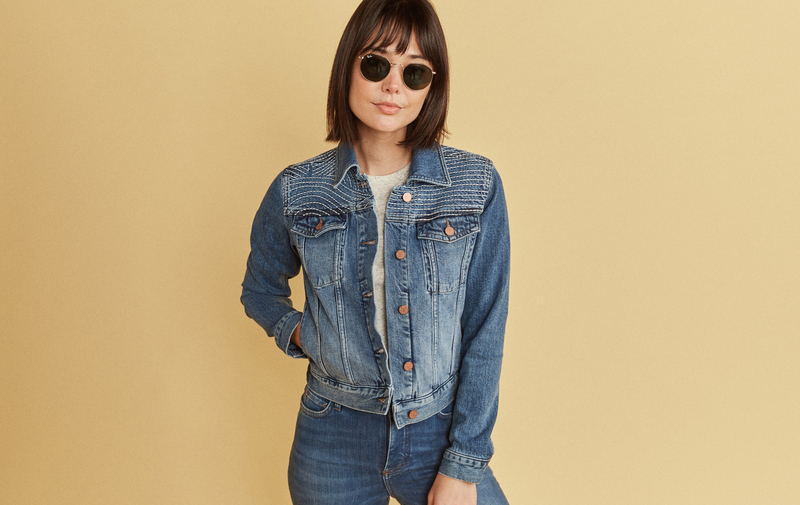 This is the same fabric we use in ML Denim line, premium denim sourced from Turkey — where some of the world's best denim is made. The climate is perfect for producing Extra Long Staple (ELS) Cotton, which makes our denim durable and soft. Logan is 5’9.5”, wears an XS, and has the kind of bangs you don't have to blow dry. Dreams.